September 21st is National Pecan Cookie Day! If the body does not get enough zinc, it may have difficulty producing testosterone – a key hormone in initiating sexual desire in both men and women. Pecans provide nearly 10 percent of the recommended Daily Value for zinc. It would take 11,624 pecans, stacked end to end, to reach the top of the Empire State Building in New York City. Texas adopted the pecan tree as its state tree in 1919. In fact, Texas Governor James Hogg liked pecan trees so much that he asked if a pecan tree could be planted at his gravesite when he died. Pecan trees usually range in height from 70 to 100 feet, but some trees grow as tall as 150 feet or higher. Native pecan trees – those over 150 years old – have trunks more than three feet in diameter. 1756 John Loudon McAdam was born. He invented macadam pavement for roads. The Macadamia Nut was named for him. 1760 Olof Swartz was born. A Swedish botanist who collected plants in Jamaica and Hispaniola, and published several books on the plants of the Caribbean. 1937 J.R.R. Tolkein’s ‘The Hobbit’ was published. Hobbits were well known as both gourmets and gourmands. 1961 Earle Dickson died. He invented Band-Aids for his wife, who had frequent kitchen accidents, cutting or burning herself. He worked for Johnson & Johnson, who soon began manufacturing Band-Aids. 1971 Coca Cola introduced the plastic bottle. Food facts here are about pecans, rather than Pecan Cookies. 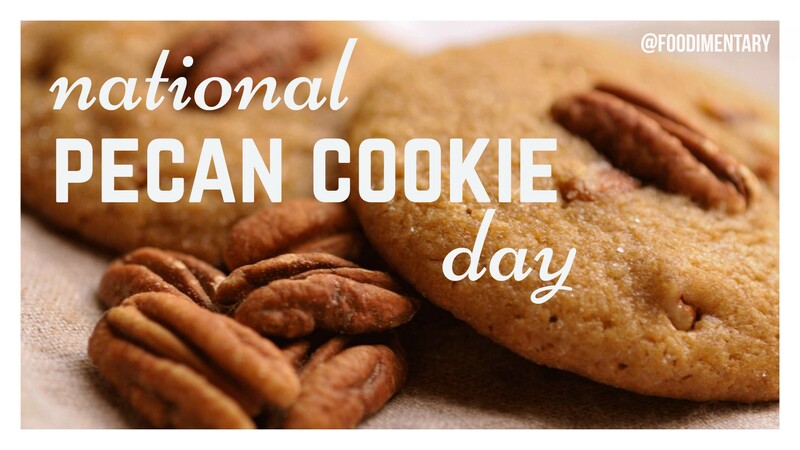 I would like to see facts about Pecan Cookies, since to day is National Pecan Cookie Day, not National Pecan day.